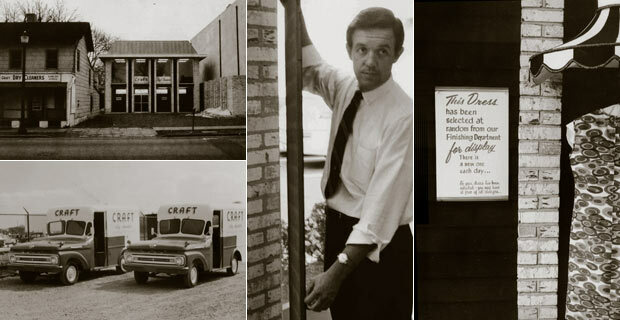 Founded in 1956, Craft Cleaners is run by the second generation owners Tom and Lorrie Janick. With a strong commitment to quality, their employees, and innovations within the industry Craft stands at the forefront of the dry-cleaning industry with Green Solutions for every cleaning need. Craft invests in Green technologies and innovations that have low environmental impact. We were the first dry cleaner in North America to utilize Miele Wet Cleaning technology to safely clean “dry clean only” garments in water. We were the first to utilize Solvair, a CO2 based dry cleaning system. We also safely clean clothing in a non-petroleum, alcohol based solvent which produces NO VOC’s and leaves clothes fresh, soft and with no residues. Our commitment extends to our employees, where there are no harmful VOC’s in the workplace. We are constantly training our employees on new fashion and fabrics which extends from our knowledgeable store front personnel to our cleaners and finishers. Their knowledge on cleaning solutions for every fabric and stain removal ensures our customers receive the highest quality service in central NJ.